Hunting life on other planets is a task on which astronomers are working on from past 7 to 8 decades. But this time an important discovery has been made by an international team of researchers, led by the University of Hertfordshire. They have found 60 new planets orbiting stars near our solar system. 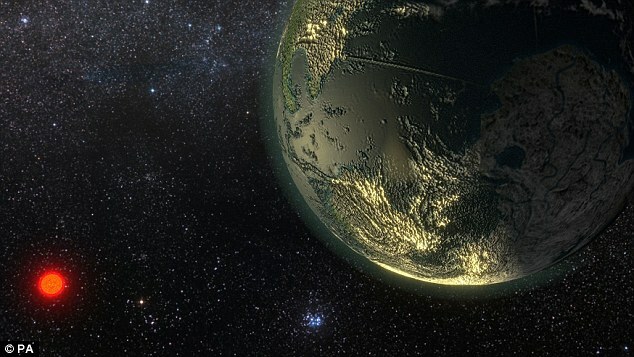 Astronomers say that these newly discovered planets prove that almost all the nearest stars to our sun have planets orbiting them, and some of these are like Earth. Along with the 60 new planets, they have also found evidence of the presence of 54 new planets making the total number of planets 114. These results are actually based on the survey, which was started in 1996 by astronomers Steve Vogt and Marcy from University of California and Paul Butler, from the Carnegie Institute of Science, in Washington. The results are based on almost 61,000 individual observations over a 20-year period by US astronomers using the Keck-I telescope in Hawaii. It is interesting to think that when we look at the nearest stars, all of them seem to have planets orbiting them. This is something astronomers were not convinced about, even as little as five years ago. These new planets also help us better understand the creation processes of planetary systems and provide motivating objectives for future efforts to image the planets directly. These observation could be very productive if the basic goal of hunting life is achieved but in another prospective the planet which has resemblance with earth could be the ice breaking achievement in this regard. This paper and data release is one of my highest achievements as an astronomer.It signifies a decent portion of my life's work. The team's paper has been accepted for publication in The Astrophysical Journal. This will create a new layer of ideas and experiments as the team is hoping that their results will lead to a spell of new science. The astronomers around the globe combine their own observations and start new observing campaigns to follow up on possible outcomes. With NASA's TESS mission on the horizon, which is likely to spot 1000+ planets orbiting bright, nearby stars, exoplanet scientists will soon have a whole new pond of planets to follow up. The best way to improve the field and further our understanding of what these planets are made out of is to connect the abilities of a diversity of exactness radial velocity instruments, and organize them in concert.